What additional ingredients are included in 4Life Transfer Factor Vista™ ? 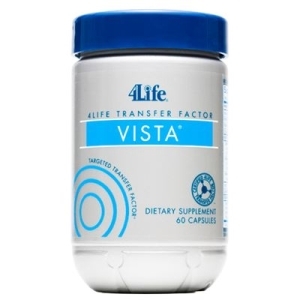 4Life Transfer Factor Vista includes a host of support ingredients that promote visual performance and overall eye health, including bilberry fruit extract, black currant fruit extract, ginkgo biloba, and astaxanthin. Black currant fruit extract and bilberry fruit extract have a long history of providing powerful antioxidant support for the eyes. During World War II, a group of British air force pilots documented taking bilberry extract to help support their night vision. Ginkgo biloba is one of the longest living tree species in the world and has been used by people for many years to support healthy circulation, including circulation in the eye. Astaxanthin is an antioxidant in the carotenoid family and can exhibit 550 times the antioxidant activity of vitamin E and ten times the antioxidant activity of beta-carotene.